What's the difference between an annual and a perennial? An annual is a plant that lives their entire life cycle from seed to flower and back to seed again in one growing season. A perennial is a plant that can live for multiple growing seasons. Sometimes, perennials behave like annuals depending on the hardiness zone where they are growing. Often called tender perennials, these plants thrive in warm climates where they are not subjected to cold winter temperatures. Impatiens, coleus, and lantana are examples of tender perennials that we treat as annuals here in our cold Midwestern winters. What are hardiness zones and what zone are we? The USDA Plant Hardiness Zone Map is divided into 13 main zones. Beginning with Zone 1, each subsequent zone is 10 degrees warmer in an average winter than the one before it. The average minimum extreme winter temperature in parts of Alaska (Zone 1) is -50 to -60 degrees... The average minimum extreme winter temperature in parts of Hawaii (Zone 13) is a balmy 60 to 70 degrees. Quite drastic growing conditions, right? In 1990, each individual zone was broken into two five-degree zones and labeled a and b. It is important to know your hardiness zone when purchasing trees, shrubs and perennials so you purchase plants that will thrive in your garden. Northern Illinois is in Zone 5b. Sometimes we complain about our cold winters, but how would you like to live in Zone 1? What do those numbers on a bag of fertilizer mean? Fertilizers must include an analysis of their contents on their labels. It is always three numbers, like 10-30-10 or 12-0-0. These numbers are the percentages – by weight – of Nitrogen (N), Phosphorus (P), and Potassium (K) in the package. If you have already noticed the numbers don’t add up to 100, you are right. The remaining ingredients are fillers added to make fertilizers easier to apply evenly. Nitrogen, Phosphorous and Potassium are the three main nutrients plants need to thrive. Each of them influences plant growth differently. Nitrogen (N) helps plants produce more chlorophyll. Nitrogen promotes lush, deep green leaves and tall stems. It also affects the overall health of the plant. Phosphorus (P) is responsible for healthy root systems and flower, fruit, and seed production. It also boosts a plant’s immune system, increasing its ability to withstand environmental stress. Potassium (K), also known as potash, is critical to the overall health of the plant. It helps plants tolerate drought and temperature extremes and improves disease resistance. Always follow labeled directions when using fertilizers. More is not better. What's the difference between organic and synthetic fertilizers? Organic fertilizers come from the remains of living things. They release their nutrients slowly as they are broken down by bacteria in the soil. Organic fertilizers often contain secondary nutrients and micronutrients. Bone meal, blood meal and fish emulsion are examples of organic fertilizers. Synthetic fertilizers are manufactured from chemical sources. They provide nutrients to plants quickly. Most synthetic fertilizers do not contain micronutrients or secondary nutrients. How deep do I plant it? When planting trees, shrubs and perennials, it is very important to dig a wide hole – the wider the better – but not deeper than the plant in the pot. Generally roots grow out, not down. Position the plant so it is slightly above the level of the garden. This allows for settling and mulching. Many a plant has gone to the great garden in the sky because it was planted too deeply. The plants have asked me to request you err on the side of planting too high. How much do I water it? When planting trees, shrubs and perennials, proper watering is essential to get plants off to a good start. Growing in pots at the garden center, plants are probably watered every day (sometimes twice a day) because that is their only source of water. Once your new plant is home, it will be up to you to quench its thirst until its roots establish in your garden. After it is planted in the garden, water the plant deeply to ensure moisture makes its way all the way down to the plant’s roots. After this, watering is a little tricky. There are no hard and fast rules, and many factors are involved. Is it hot, sunny, and windy? Or is it cloudy and cool? Is your soil filled with clay, or has it been amended with lots of organic matter? These all affect the amount of watering required. Until your plant is settled in, let your fingers do the judging of when to water. Feel the soil. If you push your finger down into the soil and it feels dry, it’s time to water. If it’s moist, wait a day or two. Many times, folks love too much. Over-watering may be the #1 reason, lifeless plants are returned to the garden center. A general guideline is to plan to water thoroughly every other day for the first week. During the second week water every three or four days, and water twice in the third week. After that, if rainfall is not sufficient (usually an inch of water per week) water the plant as needed. As the roots reach out into the soil, their need for supplemental watering diminishes as they get what they need from the soil. Do I have to take the plant out of the pot before planting? Yes, for several reasons. The plant will eventually grow too large to be supported by the roots restricted by a pot. Even if the pot has drainage holes, it will not drain as quickly in the ground and the plant may rot. The roots in the pot will continue to grow, spiraling around the pot until they become pot bound. What's the difference between 'part sun' and 'part shade'? 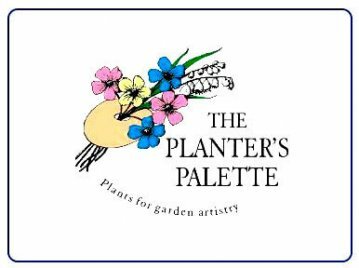 The Planter’s Palette describes a garden with 'part shade' as a sunny garden with at least four hours of shade in the afternoon when the sun is at its hottest. A garden with 'part sun' has up to four hours of shade in the morning, so the plants are exposed to the hot sun in the afternoon. Shade occurs when the sun is blocked by trees or structures. Before you come to the garden center, check out the area where you plan to plant. Just because it’s on the south side of the house doesn’t mean it’s sunny. It may be shaded by the branches of a tree, – in your yard or the neighbor’s – or a gazebo, or other garden structure. What is a deadhead and why do I have them in my garden? 1) It encourages annuals to keep blooming. When annuals grow, they are on a mission to reproduce. Their energy is directed to flower and then seed production so they can live on through their progeny. When flowers are removed (or deadheaded) before they set seed, the plant tries to reproduce again by producing more flowers. Who said you can’t fool Mother Nature? 2) It keeps garden bullies in their place by eliminating flowers before they can set and send seeds all over the garden. Plants that set seed with abandon become garden thugs, taking up space meant for other plants or growing where their gardeners have decided they don’t belong. Deadheading spent blooms before they disperse their seeds lets gardeners enjoy favorite annuals while keeping them under control. Deadheading may also cause the annual to branch, making the plant bushier. And you know what more branches mean? More flowers! This question should have been listed first since it is probably the #1 question customers ask. You will be happy to know we have an answer for this question too, but you will have to come to The Planter’s Palette to find out. Don't see the right answer? Ask a question and receive an email answering your question. What type of cereal do gardeners hate?